We all know that yoga is an incredible healing energy. But did you know that it is powerful enough to combat cancer? Yes, it is, and it works brilliantly for breast cancer. That is because breast cancer patients are usually diagnosed in the earlier stages of the disease as compared to other cancer patients and are hence aware and active enough to practice yoga from early on and prevent their condition from getting worse. Whether it is breast cancer diagnosis or treatment or healing post surgery, yoga is your tool to recuperate well. Research shows that yoga can ease nausea, depression, and anxiety that often accompany breast cancer treatment. It also soothes and comforts you and makes you feel healthy after the pain and uncertainty of the treatment. Here are 6 best yoga poses that will help you do so. Take a look. Before that, let’s learn about how yoga helps with breast cancer. Yoga helps breast cancer patients feel better and combats side effects such as fatigue, nausea, immobility, and weakness. And, in general, it lessens the side effects. Yoga improves the patient’s strength and mobility and reduces stress and anxiety. It lowers the heart rate and blood pressure. Research has shown that breast cancer patients who practice yoga have better recovery and an overall improvement in the quality of life. Yoga increases your body awareness, improves cardiovascular, respiratory, and bone health, and enables better blood flow. It enhances the mood, sleep, and concentration, which take a back seat during cancer treatment. Experts recommend exercising at all stages of cancer treatment, i.e., before, during, and after radiation, hormonal therapies, chemotherapy, and surgery. But make sure you practice yoga after consulting your doctor and under the guidance of a yoga expert. Now, let’s check out the yoga poses that work best for breast cancer patients. Practice the following poses gently. Make sure you are comfortable in them and do them at your own pace. About The Pose: Ardha Matsyendrasana or the Fish Pose is a half spinal twist that is named after a yogi called Matsyendranath. It is a beginner level Hatha yoga asana. Practice the pose in the morning on an empty stomach. Hold it for 30 to 60 seconds. Benefits: Ardha Matsyendrasana relieves fatigue and energizes your backbone. It improves your hip flexibility and opens up your neck. The pose also stimulates your heart and flushes out the toxins. About The Pose: Virasana or the Hero Pose, as the name suggests, is a pose that helps you conquer your inner turmoil and rise as a hero. It is a beginner level Hatha yoga asana. Practice Virasana in the morning for best results. Hold it for 30 to 60 seconds. Benefits: Virasana stretches the knees and thighs, energizing tired legs. The pose improves your posture and is therapeutic for high blood pressure. About The Pose: Sethu Bandhasana or the Bridge Pose is an asana that looks similar to the structure of a bridge, justifying the name it is given. It is a beginner level Vinyasa yoga asana. Practice the asana in the morning on an empty stomach. Hold it for 30 to 60 seconds. Benefits: Sethu Bandhasana stretches your chest and strengthens your buttocks. The pose reduces stress and mild depression. It is therapeutic for hypertension and insomnia. About The Pose: Anjaneyasana or the Crescent Pose is named after Lord Hanuman and is similar to his stance. The pose is a beginner level Vinyasa yoga asana. Practice it on an empty stomach either in the morning or evening. Hold it for 15 to 30 seconds. Benefits: Anjaneyasana stretches your hamstrings and builds mental focus. It opens up your shoulders and improves body balance. The asana develops core awareness and stimulates your digestive organs. About The Pose: Virabhadrasana II or the Warrior II Pose is named after the legendary warrior Veerabhadra, who was created by Lord Shiva. The pose is a beginner level Vinyasa yoga asana. Practice it in the morning on an empty stomach. Hold the pose for at least 30 seconds. Benefits: Virabhadrasana II builds stamina and improves concentration, stability, and respiration. The pose strengthens your muscles and stimulates the cardiovascular system. About The Pose: Savasana or the Corpse Pose is a relaxing yoga asana usually practiced at the end of a yoga session. The asana’s immobility resembles a corpse. It is a beginner level Ashtanga yoga asana. Practice Savasana anytime during the day. Stay in it for 5 to 10 minutes. Benefits: Savasana relaxes your entire body. It releases tension in the body and calms your mind. It improves your neurological system and mental health. The pose gives you a deep and meditative rest. 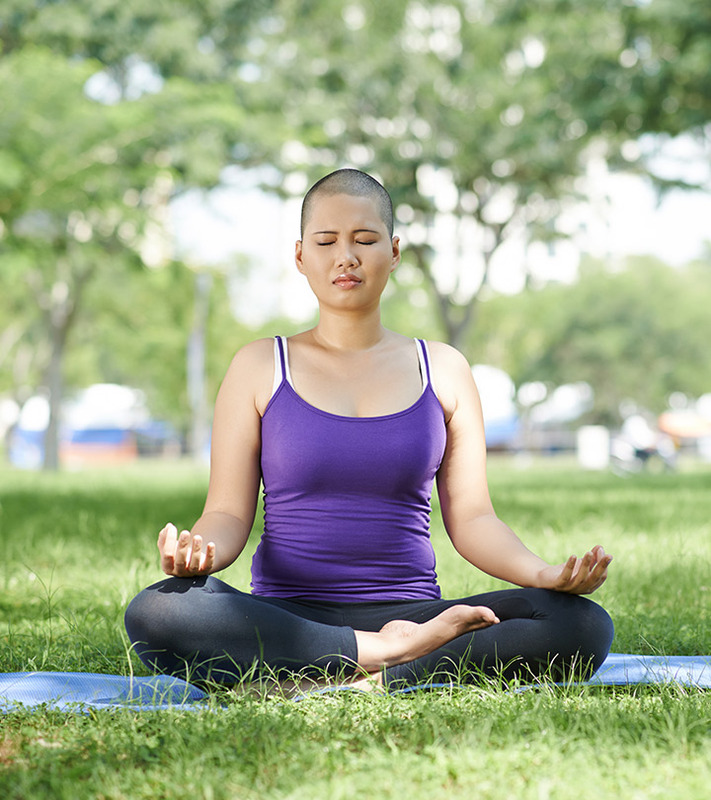 Now, let’s answer some common queries regarding yoga for breast cancer. 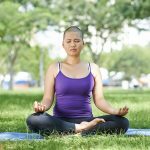 How often can I practice yoga while taking breast cancer treatment? Take the advice of your doctor and practice accordingly. Do not push yourself. Keep it simple and easy. Do I practice alone or go to a class? The place of yoga practice is a choice you have to make. If you feel motivated in a group, opt for that. Or, practice in solitude if that is more enjoyable. Going through breast cancer is not easy. But face it like a brave warrior. Do all that you can to make the process smooth and effective. 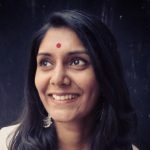 Yoga is an ancient practice that stimulates energy in your body, and an increasing number of women are turning to it to ease their way forward. So, try the above poses and beat breast cancer successfully.